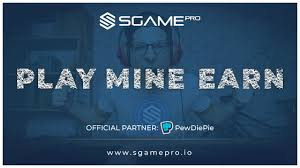 Sgame Pro is a unique mobile gaming platform that enables the player to play their most favorite mobile games and meanwhile gets rewarded with their own issued utility crypto-token Sgame Coin (SGM). The players will also be able to challenge other players even in Single player games turning them Multiplayer games. The platform would also enable game publishers to publish their games on the platform and get their desired audience to get and play their games. The publishers will earn more revenue as the players play their games on a large scale, while the players will earn tokens for playing those games. The platform also provides the facility for the player to live stream their experience and allows the users to give them donations with SGM tokens on the platform. Sgame Pro’s basic focus is to provide gamers with an unusual user experience where they exceptionally earn SGM tokens while they play their most favorite and most popular mobile games. Other than that, the platform focuses on providing the players with features like challenging other players and play Single player games as Multiplayer games on the platform and meanwhile live to stream their experience with others and get SGM tokens as donations by the viewers.